Pride in one’s car finds many ways to be expressed. For many, a cap or t-shirt is enough; some may go as far as to tattoo its image or logo on their bodies; a few will ensure that they are linked to their favorite car into eternity. It may be safe to say that only once in human history has anyone chosen to be immortalized with an Edsel, however, and it happened far from Dearborn, Michigan, in Buenos Aires, Argentina. 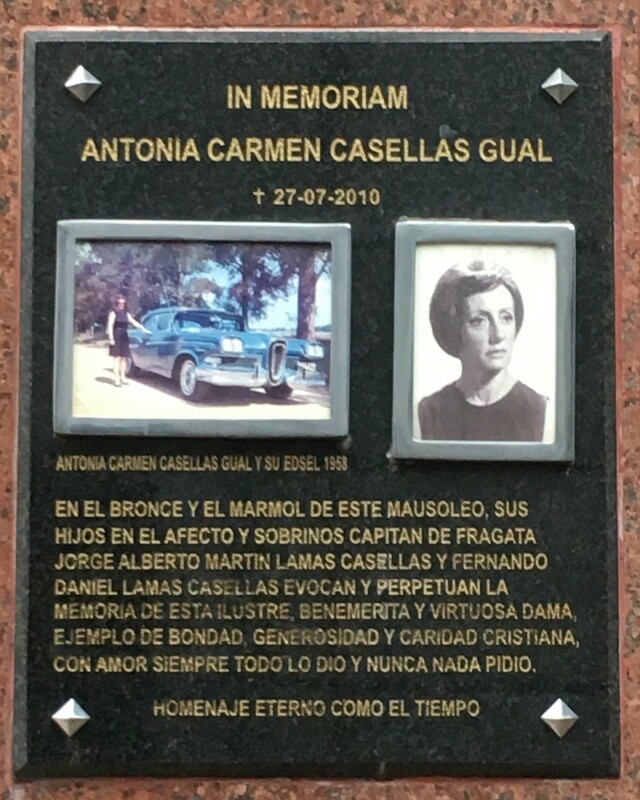 Antonia Carmen Casellas Gual chose to be remembered with her clearly prized 1958 Edsel on the family tomb in La Recoleta Cemetery in Buenos Aires, among the grand tombs of national heroes and prominent families of Argentina. Regardless of the first year Edsel’s reputation in the United States, it was a large, luxurious, and distinctive vehicle by the standards of the rest of the world in the 1950s, and this bright blue one was an Argentine lady’s pride and joy over half a century ago and will be part of her identity into eternity. Remarkably, this Edsel is not only a survivor, it is still owned by the same family. This video of a 2015 car show in Buenos Aires features this very car and an interview of its current owner, beginning at 8:10. 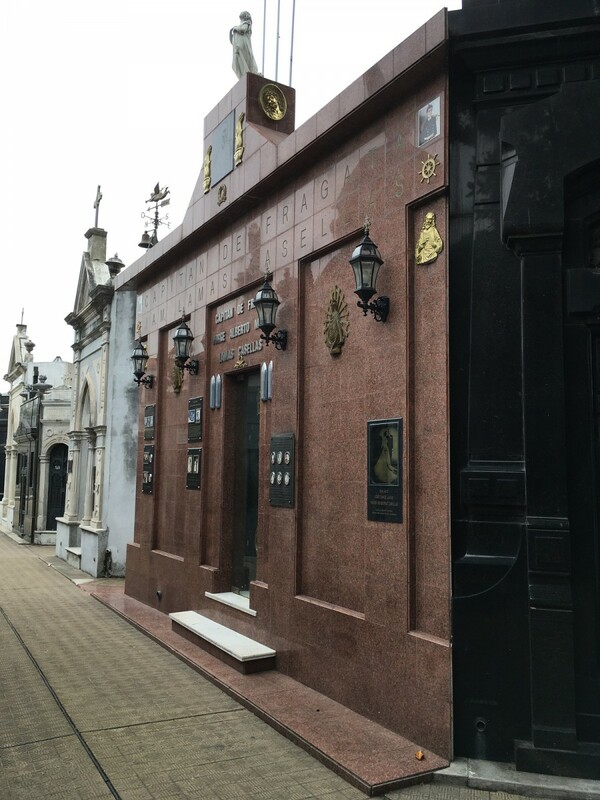 Identified in the video as Fernando Lamas, he must be a descendant of Argentine Navy Commander (capitan de fragata) Jorge Lamas Casellas, on whose tomb (shown here) the plaque commemorating his cousin Antonia appears, or his brother Fernando Lamas Casellas (not the “marvelous” actor Fernando Lamas from Argentina, whose full name was Fernando Alvaro Lamas y de Santos). This Fernando Lamas has a great family treasure that one hopes will stay in the family as far into eternity as possible. Nice article. For a minute I thought that this lady pulled a Sandra West and was buried in her Edsel. For those that don’t know who Sandra West was, she was the widow of a oil tycoon. She died young and request that she be buried in her Ferrari while wearing nothing but a lace night gown. What a waste of a Ferrari. 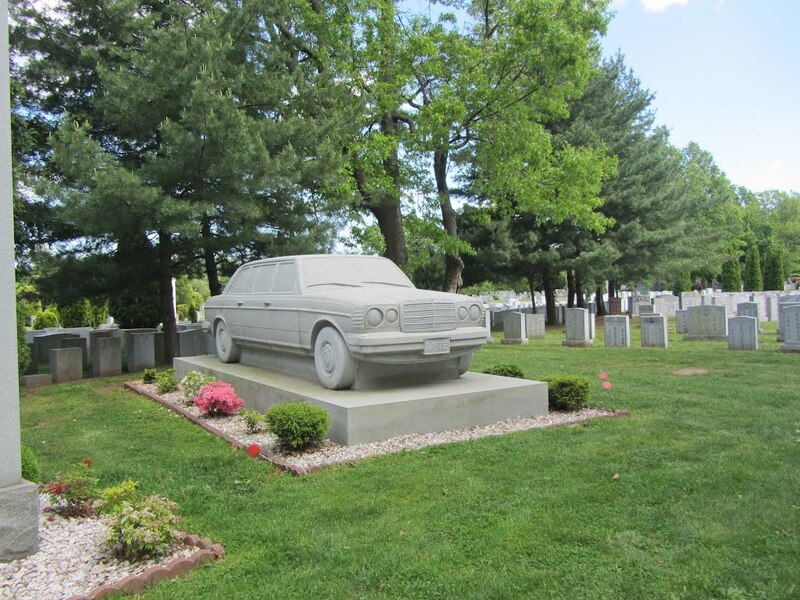 Now, if she’d been buried in a Chevy Citation …. it’s nice to see that the car is still in the family and beautifully preserved. i was surprised to see in the video that the hood is hinged on the front. i always associate that with european cars. The first FWD LeSabres had it as well. I was fascinated by my grandfather’s ’57 Mercury ……. who’s hood also opened from the front ….. and came from the same parentage as this Edsel …..
Ford did that for awhile in the late ’50s…I always assumed it was during the period that the company tried marketing safety. A front hinged hood can’t fly up while the car is moving. Another unexpected recipient of such a hood is the Vega, which usually shares space on automotive failure lists with the Edsel, although for very different reasons. A cemetery would be one place where I think most would argue that an HOA-like body might in fact be a good idea to preserve at least a modicum of decency. What’s next, just put a favored C-20 up on blocks and leave the casket in the back among the rows of headstones? 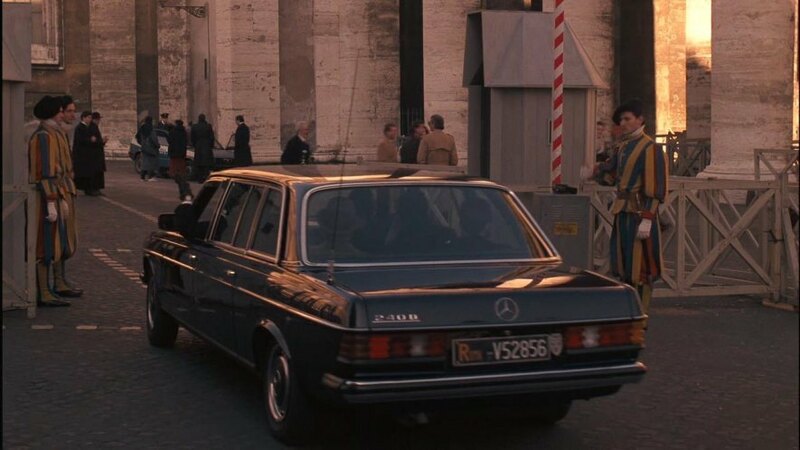 But in any case, that granite block of W123 will barely outlast a real W123. Nevertheless I would have preferred the wagon version myself. At a quarter million dollars, that’s one pricey W123. I wonder if it will be recognizable in,, say, 100 years, or will it be just a big, melted, concrete blob. 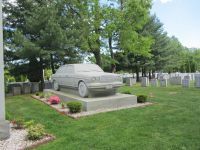 A W123 limousine was certainly an unusual choice, especially for someone who according to the story died young and did not own one. I have seen one only in a movie, in The Godfather Part III. 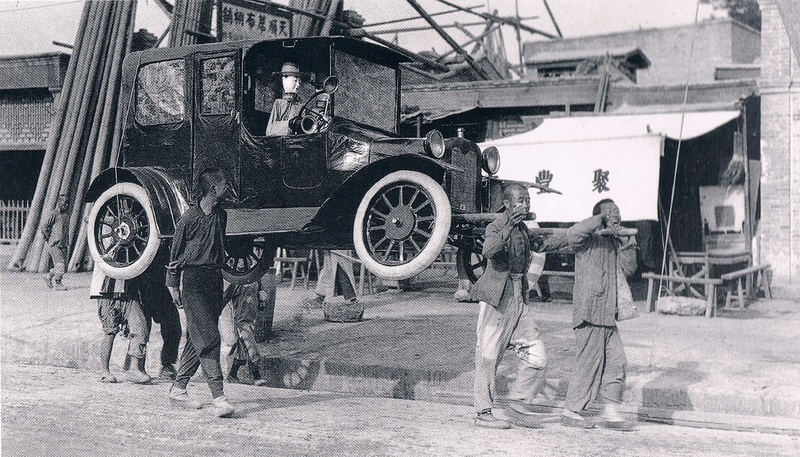 The Chinese custom of papier-mâché funeral cars would have been a lot cheaper, but it clearly was just not good enough for Mr. Tse. Well, at least a granite 240D won’t ever rust! There was a lady buried in her corvair around here. The title of this Curbside Classic reminds me of a couple scenes in the hilarious 1980 comedy-film ‘Used Cars’, where Jack Warden dies unexpectedly from a heart attack, and his friends dig a pit and bury him in his prize Edsel, then spread a story about him taking a vacation, to conceal his death from his evil twin brother. Later, when they need to prove he really was ‘still alive’, they dig up the car and arrange for it to witnessed by a crowd of people, hurtling full-throttle, into an electrical-power substation. The resulting fireball, ‘proves’ he was alive, but has just died in the ‘accident’. That’s exactly where my brain went as well. She loved her car. That’s all that needs to be said.